Question: How many websites do you need to read and cross reference, and how many forms do you need to fill out, when applying for a Partner Visa for Australia? I’ve often been asked the question – “How easy it is to go and live in Australia, as an American citizen?” I guess I should answer with the question I’ve posted above. Let me start by saying is this: It’s a good thing that Rich is the only one that had to immigrate to Australia because it’s expensive and it’s a complicated process! As we looked at the requirements, Rich sat in the chair, shocked. Stunned. Then, he used a few choice words that I cannot repeat here and maintain the G rating for this blog, but mostly it concerned the administrative process. But, he hates all administrative processes – even the process of returning something he’s purchased at the shops! Admittedly, I was not as shocked, since I had been through the US Immigration process when I moved to America 20+ years ago. The Australian process is not that much different. But it was still head-spinning stuff. I seriously thought Rich would have heart palpitations. Overall, I have to say, it’s a pretty intimidating process. First, you have to know the type of Visa you are applying for. Then you have to download and read the Booklet. Seriously. You do need to read it. It’s full of information you need to know. If you follow it to the letter, you will be approved and possibly quickly. If you don’t, things will be delayed unnecessarily. Unfortunately with the type of visa Rich needed, we couldn’t complete the application ‘online’. Instead, we had to complete PDFs, print them out (killing about 100 trees in the process) and mail them into the Australian Embassy in Washington DC. I’d list out the checklist for everything needed for the application, but it’s long. Very long. Pages and pages. It took us a few weeks just to get our head around all the little details that belonged to each part of this process, since a lot of it covers multiple pages with lots of cross-referencing in between. The Visa application alone is 30 pages. Then there’s the Sponsors application (my part). That’s another 30 pages. We also have to provide evidence of our cohabitation and relationship over the years. the nature of your commitment to each other. This evidence also has to include statutory declarations from people who know us as a couple in certain professions (i.e. Teachers, Doctors, Clergy, ect. ), recognised by the Australian government. Also needed are the notarised declaration statements from family and friends, attesting to the nature of our relationship. • The medical checks, which have the tests done by an Australian Immigration-approved doctor. The doctor submits their results electonically to the Immigration office. From Austin, the closest approved doctors on the list were in Dallas or Houston. 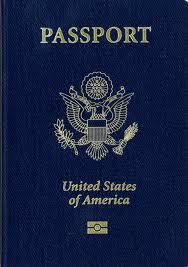 • A criminal check is done by the FBI and the State Police. That’s another form, along with fingerprint submissions. • Provide proof of identity for both of us. You know, birth certificates, marriage certificate etc. • 4 recent passport-size photographs of the applicant and 2 passport-size photographs of the sponsor. These aren’t simply passport photos you can pick up at Walgreens or via a photo booth. These are Australian specification passport photos. We found only one place in Austin that offers this service and that was after doing a lot of investigation to find one. Then you send it all in (except the medical, which is submitted separately by the approved doctor) and hope, pray, wish…and wait… that once it’s all submitted, that the application is approved. Seriously it’s intimidating to even look at, which you would THINK would deter people from even applying. As an ex-project manager, I broke it down into sections. But even doing that, it’s mind boggling, because there are no clear ‘here is what you do’. Instead, there are links and cross links and you hope in the end, you have everything covered. Then it came to filling out the paperwork. When Rich and I sat down and looked at his application, it made our heads spin. I mean, the application asks some obvious questions – when we met, how we met, and when we married – but then it asks when did we decide when we committed to each other, excluding all others? Rich didn’t hesitate when we were talking through it – he said it was when he proposed. I asked him wouldn’t it have been when we moved in together (which was 3 years earlier)? We decided it really was when we made the decision to actually move in together. It was important to be on the same page, as it were, for the application. We finished our statutory declarations outlining our relationship history. We’d had it drafted for a while, but then we read each other’s interpretation. They need to sync. What I found out was there were things Rich remembered that I had forgotten about and vice versa. Talk about a trip down memory lane. What took a long time was sifting through email, finding travel itineraries and flight receipts, to show we had traveled together. We went through old files finding documents showing joint accounts and commitments like our mortgage. We weeded through our computers and old files to find photos of us together. While that doesn’t seem too difficult for the normal person, I’m married to a man whom hates having his photo taken, so photos together are few and far between. We did find a scattering that would do. I pulled out my divorce decree and wrote a statutory declaration explaining the sponsorship of my first husband 23 years prior. That was odd, having to think back that far, and then have to explain the how, when and why. We pulled together all of the lovely statutory declarations we asked friends and family to write. It was interesting to see people’s impressions of our relationship. Some really truly touched us with the emotions of their words. Being self-employed and sponsoring Rich, I had to provide evidence I could financially support him. It was scary, because we were in the middle of moving. Our finances were in flux, moving from one bank to another. We had to wait for the accounts to stabilize so we could submit the fact that we weren’t destitute in the application. With our massive pile of paperwork on the kitchen table, we worked on getting every original document copied and notarized. Luckily, our bank provided this service for us for free. Finally, we waded through the massive pile of paperwork and sorted it to the Immigration department’s specifications: no paperclips, no stapling, no binding. It was sorted over and over and then finally put it together from start to finish. If you complete it to the Immigration Department and Embassy’s specification, the visa application will be processed, as long as everything is included and legitimate. As I said, at first glance, it’s intimidating. I found an Australian Forum site that helped with some of the questions, offered some support. Of course, I didn’t take anything verbatim. I confirmed the information on the immigration site, but it had some helpful tips. We sent the paperwork to the Australian Embassy in Washington DC which gave us heart palpitations doing just that. Our future plans were in someone else’s hands. Honestly, I think the waiting was harder than anything else. Rich’s application was approved within record time and he was on his way to Australia within six weeks of sending the application in. I will note, this is not normal. Based on the case backlog noted on the website at the time, we anticipated it taking at least 6 months. 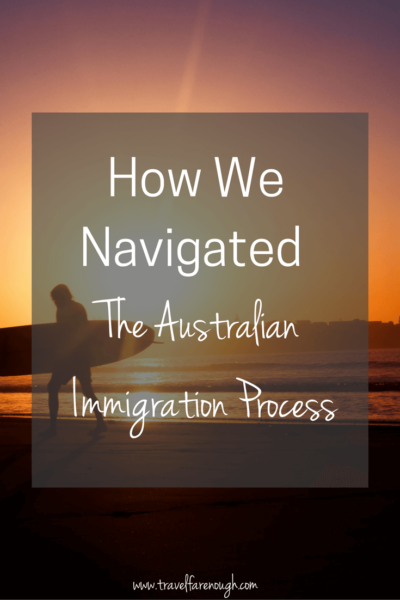 When Rich received the call (also not normal) from the Australian Embassy, he was told that they were very impressed with how well the application was put together. So please, take our advice to heart. Was this helpful? Feel free to share! Next Post How to Navigate the Crazy Sydney Rental Process! Just keep plugging away at it. It’ll get easier. Thanks for the kudos.